Atlanta’s Scientific Research Corp. is getting a $10.98 million Air Force contract. 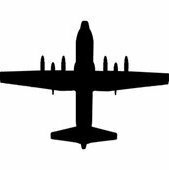 This firm-fixed-price contract is for installation and installation and integration of the AN/ALR-69A(V) radar warning receiver system on C-130H aircraft. Work will be performed in Warner Robins, Georgia, the Department of Defense said. It’s expected to be complete by Oct. 19, 2022. Five offers were received in a competitive acquisition for the award. Fiscal 2017 procurement funds in the amount of $10,989,711 were being obligated at the time of award. The contract will be managed by the Air Force Life Cycle Management Center at Robins Air Force Base in Georgia. The C-130 Hercules primarily performs the tactical portion of the airlift mission, according to the Air Force website. The aircraft is capable of operating from rough, dirt strips and is the prime transport for airdropping troops and equipment into hostile areas. The C-130 operates throughout the U.S. Air Force, serving with Air Mobility Command, Air Force Special Operations Command, Air Combat Command, U.S. Air Forces in Europe, Pacific Air Forces, Air National Guard and the Air Force Reserve Command. Active-duty locations for the C-130 and its variations are Dyess Air Force Base, Texas; Little Rock AFB, Ark. ; Ramstein Air Base, Germany; and Yokota AB, Japan. Air Force Reserve locations for assigned C-130 models include Dobbins Air Reserve Base in Georgia. Air National Guard locations for the C-130 and its variations include Savannah IAP (international airport) in Georgia. Read more here. Earlier this week, Scientific Research Corp. was named the winning bidder on an $86.7 million contract for the procurement of the Command, Control, Communications, Computers and Intelligence (C4I) engineering, integration and installation aboard new construction ships for the Program Executive Office C4I. Read more here. Scientific Research Corp., whose corporate headquarters are located at 2300 Windy Ridge Parkway in Atlanta, was founded in 1988 to provide technology services to the U.S. government, private industry, and international markets. It is focused on a broad range of information, communications, intelligence, electronic warfare, simulation, training, and instrumentation systems. The company has engineering offices located across the United States.